Please join us at Citico's (2698 Oakum Ct., Lenoir City) at WindRiver for a Chamber networking event! 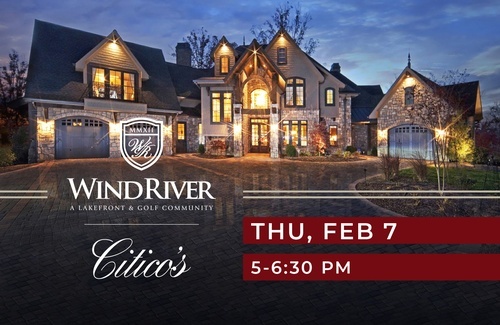 Enjoy hors d'ouerves and refreshments from Citico’s and a brief presentation about everything that WindRiver has to offer. Attendees are invited to stay after the networking event for Trivia Night and enjoy 10% off your dinner as a thank you from the evening's host! WindRiver encourages you to bring your spouse or a guest for an enchanting evening at WindRiver and Citico's.